Shaking things up today as we’ve a lot to cover! 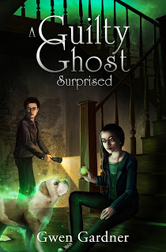 Libby Heily’s latest collection of short stories is now available on Amazon. The Victory Rule is a collection of soft science fiction stories with a typical Libby Heily twist. To celebrate the release, The Victory Rule and Fourth Degree Freedom are available for free until Friday August 30. Congratulations, Libby! Justine Dell’s latest book is available now - Until Next Time. You can also enter to win a Kindle Fire HD – see her site for details. Congratulations, Justine! Jessica Ferguson’s book is also available this week - The Last Daughter. Congratulations, Jess! And thanks again for letting me invade your blogs on Monday. Started a few weeks ago by Farawayeyes and Stephen T. McCarthy, this series pits two bands singing the same song against each other every Friday. When Arlee Bird said he was participating as well, I had to join the fun. Here are the upcoming movies for September! As always, descriptions courtesy of the IMDB. Snarky comments by me. Hoping for a return to the awesomeness that was Pitch Black! Sounds depressing, but the wife digs Jackman. Sigh. A biography of Austrian Formula 1 champion driver Niki Lauda and the 1976 crash that almost claimed his life. Mere weeks after the accident, he got behind the wheel to challenge his British rival, James Hunt. Not my kind of film, but for the ladies, it has Hemsworth, and for the guys, Wilde. My publisher notified me Wednesday that CassaFire won the Pinnacle Book Achievement Award for Science Fiction! Yes, that’s officially the first award I’ve ever won. Probably the last, but I’ll take it! Since Monday is a holiday, I’m taking it off – but will be back Wednesday for the Insecure Writer’s Support Group. Remember, I’m announcing a special two-year anniversary surprise that day! Wooohooo!! congrats on the award, that's awesome! Touching my dark side, I would have to say "White Zombie's" version. Really like Angela's new cover and Gwen's is pretty good too! And, congrats to you on the Pinnacle Award. Tremendous White Zombie! I'll take both! Thanks, Mark! Yeah, the first one was cute. Carolyn, you rock! And thanks. Both video versions of this song scare me and the children! LOL! HUGE congratulations with your award!! Fantastic news! One of MANY to be sure!! None of those movies really appeal to me but thanks for letting me know they're coming out. I didn't know a single of the song trivia! Fail!! I too hope Riddick brings back the awesomeness of Pitch Black - lost count of how many times I watched that kick@$$ movie!!! Prisoners looks good too. Saw the preview just a few days ago. Love me some Hugh Jackman!! Nice crop of new books coming out. I'm always up for a good ghost story! The Prisoners could have been interesting if the writers couldn't spoil many things and twists at the trailer of it. I'm looking forward to watch the Formula One movie, however I'll wait for the DVD release. Congrats on the award and I'm really looking forward to a good Riddick! Congrats on the award! That's awesome. First of all...congrats on the award. Shiny! Pretty! Awesome! Secondly, I didn't realize how much of a metal head I must have been. I always thought I was Middle America Mike, but I knew all those songs. But, that being said...KC's version was my favorite. I saw Gwen and Angela's books at Gwen's site. Awesome for the girls! And TWO years of IWSG. You started a good thing, Alex. It's a privilege knowing you! Have a great holiday and I'll see you on Wednesday! Congratulations. Not bad for someone who's writing just for the heck of it. Thanks, Kitty, and that made me chuckle. Terri, Pitch Black was awesome. Really launched his career. Fran, thanks for the sympathy. Thanks, Mike! I'm still in awe of the power of the IWSG. Richard, thanks, and that does describe me. Wow! Congratulations, Alex! That's quite the achievement. Lots of great news today. Yay for Gwen and Angela! I have my IWSG post all ready to go for Wednesday. Enjoy your long weekend. Oh! And I pick the White Zombie version. Congrats on the award Alex!! That's pretty darn neat. I am really wanting to see "Prisoners". I saw "You're Next" in the theater yesterday. It was great! Congrats on the award! That must feel great, and hopefully it won't be the last. I like White Zombie a little more.Loving the Riddick trailers. I'm with you hoping that it is as great as Pitch Black. Enjoy you Holiday off on Monday! Alex, that's fantastic! Congratulations on your award! Absolutely awesome - an award! Like the preview of upcoming movies, I agree and will wait. I like Jackman, but don't like the story. Congrats on the award. You're amazing! Also, thanks for the news. Love the book covers and can't wait for Cloudy with a chance of Meatballs to come out. Might see Riddick and maybe Cloudy, not much out really it seems. And I choose the first version. Congrats on this gorgeous award! I kinda like the Zombie version! Enjoy the holiday weekend Captain! congrats on the award man, that is awesome! and well deserved! so do you get to put one of those gold stamps on the cover? smiles. The Guilty Ghost sounds interesting, kind of like The Woman in Black. I shall have to look into that one. I plan on seeing Cloudy 2 this month, but none of the other movies have caught my attention. My family might go see the one with Hugh Jackman, they like kidnapping movies for some reason. Christine, thanks and you rock! Optimistic, thank you and I do want to see You're Next. David, you're an awesome rocker. Yolanda, not looking forward to that one and thanks. Pat, those are the two I want to see. Congratulations on the award Alex, that's awesome! Congratulations to Libby, Justine and Jessica, and to Gwen and Angela too! Wow, congratulations on the award, Alex! Also, I'm really glad I didn't attempt the music trivia, because I would have answered incorrectly on them all. Maybe it's just because my parents always listened to that music, but I'm a sucker for KC and the Sunshine Band. They definitely win. Also, I love that intro. KC sure blinks a lot, doesn't he? Is he having a seizure? Wow, congrats Alex. That's totally awesome. Lots of congratulations for the award Alex, I bet you are pleased. See, we keep telling you that you should write more. I enjoyed the first Riddick film so will wait to see this one, on DVD probably. Like the sound of Guilty Ghost. Not sure I will be popping in next week anyway, count down to vacation time. I can't wait to see Riddick. Damn, 4/5 on the quiz - Billy Thorpe I never would have guessed. Congrats on the award Alex. Prisoners and Cloudy with.. are two movies I'd love to see next month. Forgot all about Riddick and hope it's even better than Pitch Black. A big congrats to author's featured today and Battle of the Bands looks fun. KC and the Sunshine Band's version definitely wins for me. Fun for me to listen and move to. White Zombie's version is just creepy and weird in a bad way for me, so no. Thriller gone wrong pretty much. Lauda sounds like something I'd watch. Always thought the man was beyond brave. Wow, far out about the award, Alex! I should have known that last trivia song was Iron Man. It's one of my hubby's favorites so it's not like I haven't heard it. Congratulations on the award Alex! Great news. I loved the trivia lyrics, especially Hangar 18. I'm in a very Megadeth place at the moment. Congrats on your award! That's amazing! Wahoo! Congrats on the award Alex! I hope it's not the last one! Wow, congratulations on the award, Alex! That is so awesome. Both Boogieman's are fun - if I don't have to listen to the second one, lol. Thank you so much for sharing our covers today!!! I just discovered you wrote in this blog entry the word of "hanger" instead of "hangar", just like one of your book. Is it just a mere coincidence? Brian, not sure if my publisher will add that to the books, but it would be cool. Josh, Besson did bring us the awesome Fifth Element. Bob, you were closest though. And thanks! Bish, I was surprised only two people got that one. Libby, you're welcome, and that's cool! Certainly looking forward to Riddick. great character. We tell ourselves that we write to release the story within us, but that award had to brighten your whole day! :-) CLOUDY 2 is the only film that interests me. RIDDICK just seems a re-hash of PITCH BLACK. Sigh. First, congrats on that Pinnacle Book Award. I'm sure they picked the right science fiction book and I can believe it! (You said you believe my rain story. :)) Rain clouds again! Also, I love that cover by Justine Dell. So romantic! I'm looking forward to Insidious: Chapter 2. I loved the first one as well as The Conjuring. Is Pitch Black really that awesome? I guess I'll have to see it. And of course I'll be seeing Cloudy with a Chance of Meatballs 2. Great roundup and congrats on the award! Whoa. Huge congrats on the award! That's so cool. I love the cover reveals and great book releases. Yay for Angela and Gwen! Love these covers and blurbs! I vote for KC and the Sunshine Band. I got to see them in person when I was in the 4th grade for a big centennial celebration I'm not sure what it was called, but it was fun. Great to see them again. Thanks, Alex. Have a great (almost) weekend. Meatballs 2 should be fun. (Love the leek line!) But, Earl is not Mr. T this time. What could he possible have to do that would conflict w/ the voice over work for this movie? So many good books out and coming out! I can't keep up! You know I like Mr. Zombie's version better. 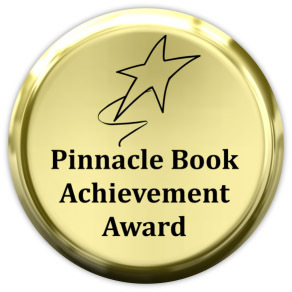 Congratulations on winning the Pinnacle Book Achievement Award! That's awesome! My kids are looking forward to the Cloudy with a Chance of Meatballs 2. We used to follow the Formula I races and was at one race in Long Beach, CA years ago. (I took tons of pix at the Concours d'Elegance, and at the races.) We were on the hairpin curve at one end of the course. I want to see Riddick, as I liked Pitch Black, too. Vin Diesel does that character well. Battle of the Bands: I vote for KC and the Sunshine Band, the other is def dark side. Give me sunshine anyday. I'm participating at the other blogs' BOTBs as well. It's fun to see what you guys will come up with. Alex, congratulations on the award. Just helps prove your awesomeness. Congrats on winning the Pinnacle Book Achievement Award! That's really cool! One of the movies I'm waiting for doesn't come out until next month. That is Carrie! I'm curious of how the remake will be compared to the original. Many congratulations on the award! That's fantastic news. Zoltan, obviously it's a mistake I make often! Will fix. Ilima, it was all right, but I'll never watch it again. Too soft for a Riddick movie. Heather, I know you rock. And that is odd they had to switch actors for a voice. DG, if Zombie's version wins, I will be surprised. I think I should go see Prisoners with your wife... I'm looking forward to it. And I gotta say, I pick the Zombie version! Very interesting this film about the great Niki Lauda ...!! I'm definitely looking forward to Riddick. It's fun to watch Vin Diesel kill monsters and be all badass. Big congrats on the award! OH Alex, what a satisfying and lovely award to win! Congratulations. That truly is such an affirmation of your writing. Love seeing all the books and the covers-- thank you for sharing. I need to pick up a few of those! Insidious and Prisoners both look pretty good to me! And Alex THANK YOU for being willing to share my release stuff next week! I will get stuff to you this weekend! Your wife is absolutely correct. And it doesn't matter one bit if the movie stinks. Congratulations on the Pinnacle Award, Alex. Yay!!!! So many movies to watch - my list is already dangerously long, heh. One day I hope to start watching three each week. Yep, it's gonna happen. Congrats to everyone with new releases. And a special congratulations to my buddies, Angela Brown and Gwen Gardner. Well done, ladies! And here's the absent dragon to join all your friends in the massive happy dance for that award. Go Alex! Ecstatic over your award! Congrats. Boogyman? Don't care for either, but the Zombie one I couldn't listen to (sorry). Didn't know they were doing Insidious 2. Hope they do it justice. I, too, have high hopes for Riddick. Love Gwen and Angela's covers! First, congrats on your award. That is exciting stuff:) And never say never because you just don't know!!! I listened to both of your songs for BOTB. The White Zombie version was new to me and I must admit that I didn't care much for it. The KC version has me smiling and tapping my foot all the way through. So, I am definitely casting my vote for KC & The Sunshine Band this time! Congrats to those with new releases too. Totally awesome on the award! Way to go buddy! I'm all about Vin Diesel, and yes, Pitch Black was awesome. I'm hoping this one's as good, or dare I say it, better. Cathy, that would be awesome! And you rock. Hart, happy to do so!! Al, happy to see the dragon! Robin, I know a lot of people aren't into hard rock. Great post! Thanks for sharing! Ahem, yes indeed, nice to see our two friends, Gwen and Angela, have revealed their covers on here. Nice reveal, ladies. Did that sound right? I love that white zombie song! I saw KC and the Sunshine band at a half-time show at a B.C. Lions, Canadian Football League game. I've never recovered. Well done on that award, dude. I'm sure it will be the first of many. If not, I'll get Penny to create one for you. Pinnacle Book Achievement Award for Science Fiction!!!! That is absolutely awesome Alex. Thanks for sharing in the reveal. WOOT! CONGRATULATIONS - That's one big stomping and well deserved award. Nothing there in the movies to excite me for September. THANK YOU for the shout out and participating in BOTB. Kc's version certain makes you want to dance and White Zombie makes you - I don't know - want to run away. Variations on a theme of 'Boogie Man'. anyway...I got to give it to WHITE ZOMBIE for creativity at least. Uh, oh, my hard rock side is showing. Ooh, great covers and ninja news. Wow, that's wonderful!! Congratulations! And I have a feeling it won't be the last award. I'd pick White Zombie to keep me awake on the way home from the observtory. I'd pick KC to sing along with and dance to. Did anyone get all five? Billy Thorpe is pretty obscure...if I'd not been listening to him a lot lately I'd never have gotten that, either. Saw KC on tv a while back. His hair was white! It's shocking to see some of these old rockers get old. Don't expect it. The Beach Boys are in Vancouver right now. If it wasn't a 10 hour drive, we'd go down. Congrats on your Achievement Award! That's awesome! Love the Battle of the Bands idea. I prefer the White Zombie version! Gary, sorry about the KC experience. Penny can make me a badge anytime. Jeremy, you knew I'd be there for every stop. That's what friends do. Faraway, hope you see even more participants tomorrow. And you rock! Mary, which is more important? Staying awake. Zombie wins. Larry, two people got four. Thorpe is obscure but unique, and several people did guess correctly. Kelly, I knew you would!! Wow, congrats on the award. That's terrific. You must be so proud! I look forward to seeing Prisoners. All I can say is: Hugh Jackman can act in any role. Amazing man. He is phenomenal. A HUGE congrats on your award, Alex!! That's so awesome! I hope you celebrated!! Congrats too to Gwen and Angela. Great covers. I'm looking forward to seeing Riddick. Congrats on the award! Yay! *waves pom poms! And congrats to Gwen and Angela on their cover reveals. Best to everyone! CONGRATULATIONS!!!!!!!!!!!!! How awesome for you, and you SOOOO deserve it! Very, very happy for you, Alex! Congrats on the award, Alex! Yay!!!! Congratulations on this amazing award Alex! I'm sure that it is only the first of many for you! Great news for all of the authors! I'm especially excited about Libby's special offer! How Wonderful!!!! Congrats.... I am so happy and proud of you! Congratulations on the award! Very, very cool indeed! The Zombie video certainly gets bonus points for creativity and weirdness. But musically I have to go with KC's original version. Much easier on my ears and nerves. Congrats on the award, Alex! I'm looking forward to seeing Cloudy 2, I thought the first one was a lot of fun. How very kind of you to offer, Alex. There are one of two copies, and range from £77 to £200! for a book that was probably at most £25. One person on ebay contacted me - the power of the internet! - has several copies, offering £88 each. I'm a pensioner. With kind regards, Carole. Hi Alex .. congratulations on the Pinnacle award - I just have this feeling there will be others: prepare that shelf! I wonder if JK saw the Zombie JC song and used one of the character's faces for Hagrid's teaching book .. looks remarkably like it to me .. I think I prefer the JC song without the video! And...that's a lot of scary-looking movies (or dark. Or something.) Think I might be going for Cloudy2. I read you previous post including the Worlds End review. Being a Brit, and loving anything Simon Pegg, I'm eager to see this. Glad you recommended it. Have a great weekend and I'll see you Wednesday for that announcement. Congratulations on the Pinnacle Book Achievement Award Alex! Jamie, I knew you'd dig it. Carole, glad you found some options. Congrats on your award:) I so can't wait for Riddick... huge fan. Congrats on the award, Alex. And it's so purty! Love Justine's book cover. It really caught my eye. One of those you look at and then have to look at again. I think it's interesting that after the George Takei story in the previous post, the guy on Christine's book cover has a distinctive Takei look to him. BIG congrats on that award Alex!! That is just pure awesome. In that line up of movies, I'm not sure that any one calls to me. I'm not a big fan of Vin Diesel. Not sure why, but as an actor, nothing he does seems believable to me. Have a wonderful long weekend! Catch you next week for IWSG. Congratulations on the award, Alex! have yourself a great weekend. I want to see Cloudy with a Chance of Meatballs II. The White Zombie version is my favorite. Congrats on the award, Alex. That is great news. And, I am looking forward to RUSH, but I swear it has nothing to do with Hemsworth. Not all to do with him, anyway. Woohoo!!! That's an awesome award and totally deserved! Congratulations!!!! And Congrats to Gwen, Angela, Libby, Jessica and Justine! Wow! Big congrats on the award! As for the rest, I got one trivia correct, which is actually not as bad as it sounds as I only had one guess. Love the book covers, and the music - I generally like what I heard first the best, so I vote with KC. *YAY* What a grand award, Alex!! It might be your first, I doubt it's your last! Congrats! Donna, good eye - I hadn't noticed. Oh my gosh! Congrats on your award, Alex! That is SO great!!! Ticker-tape parade for you!!! Congrats on the award! Very cool! My husband is seeing Black Sabbath in concert tonight. So not my thing, which is probably why I didn't know the lyrics. Riddick... Looking forward to that one. Congratulations Alex on the Pinnacle Book Achievement Award. Hope you win many more awards. Lots of hugs. Have a lovely weekend. Prisoners to be seen, if only to see the interpretation of Hugh Jackman! Yay for Gwen and Angela. They are on a roll! And super congrats to you on your award. Let it be the first, but not the last. Dude, congratulations on the award, that's awesome! There are some good looking movies coming out in the next month. There are also a lot of bad looking films. Tis' the season. Ah, huge congratulations to you on the amazing award! Have a great weekend and celebrate your success. Awesome award, awesome book covers, and awesome news. But what else would you expect but sheer awesomeness from a post belonging to the Captain Ninja? Congratulations on your award! Enjoy your holiday weekend. Beverly, thanks, and that made me chuckle. TS, thank you and yes, it's the dumping season for movies. Many congratulations on the award Alex. Wow, congrats!!!! That's a great award! And I loovvveeeed Insidious, I can't wait to see this one. Ooh, congrats on your award! Man, I didn't get a single one of those lyrics right. Oh well! I want to see Riddick, I think the rest can wait for me. I enjoyed Insidious, but it is sort of a watch at home movie. No interest in Rush or Prisoners. The hubby was surprised I didn't want to see a Jackman film, but it's about kidnapped kids. As a fairly new mom, I don't think I could take it. Enjoy your Labor Day Weekend. Wow, that's awesome you won the Pinnacle award. I'm sure it won't be your last award. Can't wait to see what you announce on Wednesday. congrats on your awesome award! thanks for the previews & movie highlights! you & wife prob love van helsing! and it took me almost a month to visit all my commenters from here! ah! how do u do it! Congratulations on your award! You definitely deserve it! While I met and had drinks wit KM and the Sunshine Band in the early 70's, and love their song, the graphic video was quite appealing on the White Zombie side also. My vote is for KC because I could understand the lyrics. WTG on the award Alex. Wow, lots of people with good news this week. Congrats to Gwen and Angela! Congrats to Libby, Justine and Jess! Despite the adorable name, I'm not picking "Zombie." I always liked KC. "That's the way, uh-huh uh-huh, I like it, uh-huh uh-huh!" I can't wait for "Riddick"! Isis, I don't even have kids and I don't want to see that. Tara, not even my wife likes that movie. And it's all in the Ninja moves. I'm so ashamed that I didn't know Iron Man...like really ashamed. PS... wow, I was seven when Lauda had his crash - and I remember seeing it on the TV... wow. Congratulations on the award, which you richly deserve, Alex! So many new books to read -- always a treat. As for movies, I wanna see Prisoners and Rush. KC and the sunshine band vs the Zombies, I reckon both bands rock on different levels. Congratulations on winning the Pinnacle Book Award. Its cool being a winner. Congrats on the award! Woot! I have heard the Zombie song before and I do like it!! I will probably watch Riddick and Prisoners (at least I have them in my Blockbuster queue)! Congrats on the award! That is awesome. I suspect your trilogy will win an award when all is said and done. I am ready for the reveal!!! I am very happy to hear that you have been recognized with this great award! I think you are far too hunble. In fact, I I ever got an award like that, I would actually make it into a tattoo and wear it on my girly bicep. Which is actually just called a bicep, but that is such a macho word, even for a former bodybuilder (which I am). Thanks for stopping by today. You are such a thoughtful fellow. We are doing a fill court press (whatever that means) to get a book out. Don't you love being in a rush after you have worked on something for around 2 years? I sure do, you can bet on it! Right! As for the movies, I adore Vin Diesel and LOVED Pitch Black. However I love everything he is in, even "The Pacifier". I could watch Vin in anything. And I do. Anything by director Ron Howard is always worth a look, for me, as well. Great work getting the award, and a fun post! Thanks, as always, for upholding wth class the name you bear: (((((ALEX)))) !!! I can't even get the videos on your blog to play (too many links, whistles and bells for my ancient computer to handle). Nevertheless, I feel I can confidently vote without even seeing/hearing the BOTB videos. I'll vote for 'KC And The Sunshine Band' (despite the fact I'm strictly a heterosexual), only because I would always automatically vote against ANYONE or ANYTHING that included the word "zombie". Congratulations on your achievement award! It's nice to be recognized, isn't it! Samantha, that's all right - I think only two people got it. Jackie, you and my wife should go see it together then! Chuck, go listen to the whole BOC album. Shooting Shark is actually the best song on the disc. Thank you, Jean. And a rush after two years of working? That sounds familiar. Hope everything falls into place for you. Stephen, sorry about the overload and glad you clarified that. The Battle of the Bands is a GREAT idea! Hm, I think I'll actually vote for the Zombie version of this song. As they'd say on American Idol, he really made it his own. Congrats to all authors with and extra whoop for my pub sis Justine. Congrats on the award! Just awesome! :) Yeah! I couldn't check out the video links for some reason- will have to try another time. Sounds interesting! Wow, congrats on winning the Pinnacle Book Award, Alex! Great choices for Battle of the Bands. What a crackup to see the '70s style clothes in KC's version! I think White Zombie's is pretty cool. Cool video to play at a Halloween party! Congratulations on the award, Alex!!! Great! Congrats on that award. That's amazing, I'm sure you went off your rockers for a while! Well done on the award. Shiny! Nancy, the second one was not good. Congratulations on the award, Alex! Now you need one for Blogger of the Decade. If Jackman and Beckinsale star in something together, then you and the wife will have it made in the shade. Oh, wait a minute. Wasn't that VAN HELSING? Oops. I decided to play along with BOTB. Hope you stop in and vote! Congrats on winning an award. I also see you have a third book coming out. I've been a recluse working on a book trilogy for young adults but will get back to blogging soon. Hey Reid! That's right, last one. Congratulations on the award, that's so awesome! I'm in a film rut at the moment - I don't think there's anything I want to see at all. You buried the lead story! Congratulations on the award. Wow, the zombie version is quite different. Yeah, I prefer the KC version. Congrats on the award!! I got (drumroll) 1 trivia question right. And I choose the Zombie version just because I never liked the original by KC. Riddick!!! I am so awesome and nerdily excited about that one. Cannot WAIT!! And congrats on the award! That's so exciting. Look how far you've come since the first Cassa book. WOW! Southpaw, I'd make a lousy newspaper editor. I love all the updates I get from your blog. You are the place for news! I want to see Riddick but the glow in the dark eyes scare me. I guess I'll stick with Cloudy 2. Until just now, I went through the whole day thinking it was Sunday. Apparently I'm very late since this is Thursday's post. Did you know Marilyn Manson did a redo of "Sweet Dreams," originally done by The Eurythmics? I argued for about a month with my daughter who thought the original was definitely Cher. :) Apparently Beyonce has a song by the same name, but I'm not sure if it's the same song. Congrats on your award. Well done! Love the cover on the Last Daughter. Angela and Gwen's covers rock! Congrats! on the award! And good luck to Angela and Gwen. I should have had the Megadeath reference (head slapping myself). Very interesting collaboration of Jordi Mollà in Riddick ...!! Congrats on your award. I have a real soft spot for Rob Zombie, so I'd vote for his version. And I think Sept will be a month of Blu-Ray purchases for me. There is a lot of stuff coming out this month. I like Rob Zombie's version. It's a fun twist to the original. I used to rock out to some Zombie back in the early 90s. Fun stuff. Big congrats on your award!! That's excellent!! Congratulations, Alex, on the Pinnacle award. That is awesome!!! You're so supportive of fellow writers. I think that's wonderful. I'd like to see Riddick too. I like him better in his Thor costume. Tonja, you are correct, and it was featured in a movie. Brian, I had a great weekend! Rusty and PK, you rock. The only movie out of the bunch I might see at the theater is Cloudy with a Chance of Meatballs 2. Alex congradulations on the award, it's about time you were recognized. I remember the KC version of 'I'm your Boogie Man'. I hadn't heard the White Zombie version, you were right it is an interesting take on the original. But I have to go with my fond memories, so KC. I hope you are right about Riddick going back to the Pitch Black awesomeness. The Riddick chronicles just didn't quite make it. I now have a Kindle Fire so I have been trying to catch up on everyone's books. I have a lot of reading to do. The new book cover look great on both. Alex! Congrats on the award! How exciting!! I'll be blogging tomorrow to help celebrate IWSG's two year anniversary (might be a bit later in the day). Looking forward to your big announcement!